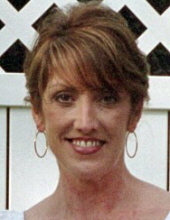 Deborah Lynn Rose, 55, of Oak Ridge, passed away peacefully at her home on Monday, November 19, 2018. She was born August 4, 1963 in Oak Ridge. Deborah graduated from Oak Ridge High School in 1981 and attended Roane State Community College. Deborah worked as a realtor in the Oak Ridge area for many years and had been employed by Coldwell Banker. She most recently was employed with UT- Battelle Oak Ridge National Laboratory. She was a Project Management Assistant at ORNL. Deborah processed information for researchers which would enable them to input research data on ORNL’s supercomputer. She was passionate about reading and enjoyed gardening, crafts, biking, art, and drawing. Deborah was very creative and loved decorating for special occasions. She and her family attended Faith Promise Church. Deborah was loving, strong and courageous as she battled Amyotrophic Lateral Sclerosis (ALS or Lou Gehrig’s Disease) in the final years of her life. The family was blessed to have a wonderful core of loving and devoted caregivers who tenderly cared for her daily. The caregivers included Nichole Chaumont, Shay Lainez, Jess Jordan, Brandy Hostetler and her sister-in-law, Lynn Rose. sister-in-law, Lynne Oglesby and husband Marty and brother-in-law, David Rose and wife Lynn. The family will receive friends on Tuesday, November 27, 2018 from 5 – 7pm at Weatherford Mortuary. The funeral will follow at 7pm with Pastor Kyle Wall officiating. In lieu of flowers, the family requests that donations be made in Deborah’s memory to the ALS Association, TN Chapter, P.O. Box 40244, Nashville, TN 37204. An on-line guest book can be signed at www.weatherfordmortuary.com. To send flowers or a remembrance gift to the family of Deborah Lynn Rose, please visit our Tribute Store. "Email Address" would like to share the life celebration of Deborah Lynn Rose. Click on the "link" to go to share a favorite memory or leave a condolence message for the family.